As the nation celebrates Katie Taylor's triumphant return to Ireland, we take a look back to 2009 when Katie was VOX magazine's cover girl and Sports Writer Dan Tabb asked her about her sport and her faith. Here's a chance to re-read that interview. It is remarkable considering that three years later, the Chariots of Fire theme tune was playing as Katie accepted her gold medal! At the age of 10, many girls skip rope with their friends and begin liking boys. 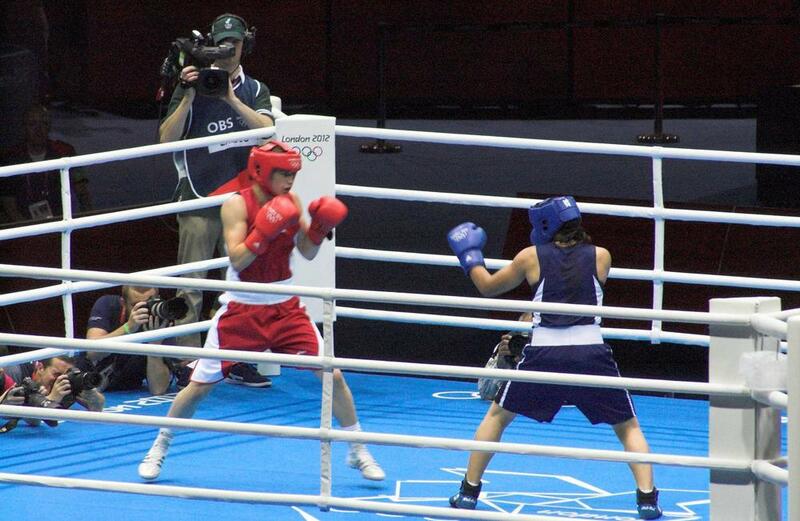 In 1996 Katie Taylor was skipping rope but she was doing it in her father’s Bray Boxing Club. And her interest in boys was hitting them and avoiding getting hit as she followed her dad (Irish champion in 1986) and her two older brothers into the ring. In so doing, young Katie became the first female boxer in Ireland. Katie’s love for boxing has progressed since the opening bell. Her first fight was at the age of 15 and was historic in Ireland, as this nation’s first female boxing match. Since then, 300 other women across Ireland have followed Katie in lacing up the gloves and slipping between the ropes. As with all trailblazers, the path hasn’t been easy, but Katie has enjoyed the journey. Last year Katie was honoured with both the ‘Irish Female Athlete of the Year’ and ‘Female World Amateur Boxer of the Year’ awards. As a result, Katie appeared on the Pat Kenny ‘Late, Late Show’ with her dad in December – the “most nervous experience in my life”. Katie’s perspective on being a Christian and a boxer is similar to that of Olympic champion runner Eric Liddell of ‘Chariots of Fire’ film fame. When challenged by his sister about running versus serving God full time in China as a missionary, he responded, ” I believe God made me for a purpose... but He also made me fast, and when I run, I feel His pleasure. To win is to honour him." Looking to the future, Katie is motivated to retain her three current titles and she is aiming for Olympic gold in London (2012), joining Ireland’s only other Olympic boxing gold medalist - Michael Caruth (1992). With God in her corner, the future path for this fighting Irish warrior is certain to be paved in gold!